Are you tired of looking for two outlets on two separate circuits to plug in your extractors, airmovers and other equipment? 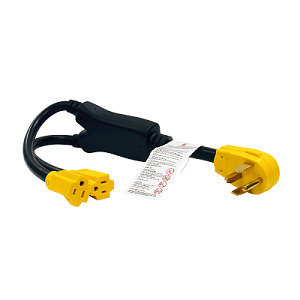 Save time and labor on the job with the 5004 4-Prong Electrical Converter which is designed to fit cords with 4-pronged plugs. This is an invaluable addition to any carpet cleaner’s toolbox. Order yours today!